TTC makes way for redevelopment of Yonge and Eglinton – "I KNOW TORONTO!" 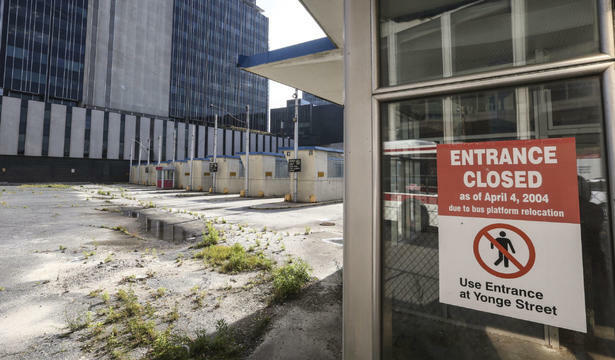 As the TTC prepares to hand over its faded property at Yonge and Eglinton to the city’s development agency, Build Toronto, the local city councillor says he’s afraid it might be the first step in a redevelopment plan that would bulldoze one approved by city council in 2009. The TTC board will consider a proposal Wednesday to declare surplus its portion of the southwest block of the midtown intersection. Build Toronto wants to redevelop that site before the Eglinton-Scarborough Crosstown LRT opens in about eight or nine years, when it will become a major transit hub, said TTC chief financial and administrative officer Vince Rodo. A Los Angeles architect has even been scheduled to speak at this week’s Toronto Transit Commission meeting about the varieties of transit-based developments that have been built around the world.